Definition at line 2755 of file wingdi.h. Definition at line 2758 of file wingdi.h. 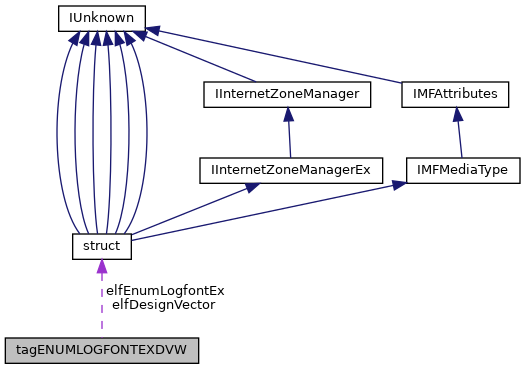 Referenced by CreateFontIndirectExA(), CreateFontIndirectW(), FontGetObject(), GetFontObjectA(), and GreCreateFontIndirectW(). Definition at line 2757 of file wingdi.h. Referenced by CreateFontIndirectExA(), CreateFontIndirectW(), ftGdiGetGlyphOutline(), ftGdiGetTextMetricsW(), GetFontObjectA(), GreCreateFontIndirectW(), HfontCreate(), IntExtTextOutW(), NewEnumFontFamiliesExW(), NtGdiGetCharABCWidthsW(), NtGdiGetCharWidthW(), NtGdiHfontCreate(), Test_CreateFontIndirectA(), Test_CreateFontIndirectExA(), Test_CreateFontIndirectExW(), Test_CreateFontIndirectW(), TextIntCreateFontIndirect(), TextIntGetTextExtentPoint(), TextIntRealizeFont(), and TextIntUpdateSize().